Wrestling monsters spawned from nuclear waste, fighting discarded fast fashion garments and saving Earth from an onslaught of environmental catastrophes is all in a day’s work for Zina, the superheroine of an inventive collaboration between the Hungarian accessories brand müskinn and the female-focused comic anthology ZINA. Their joint project has yielded a collection of five bags that double as story books; each piece is a chapter of the heroine’s adventures, inspired by an illustration drawn by one of five young artists. Purchased items are accompanied by the collection’s entire graphic series, thus the müskinn x Zina project uses niche mag culture as a conceptual starting point: telling a story of sustainability in a manner that is innovative, meaningful and entertaining. Intrigued by this new concept, I contacted the girls behind the brand to learn more about their work. Our name derives from a misheard phrase and reminds us of the summer when we began working together. In contrast, we developed our logo in a conscious manner. The upper and lower triangle is a stylised mountain and its reflection. The three hand-drawn lines above are each of our, the three founders’, handiwork. (Noémi Sziládi, Eszter Tóth and Zsófia Rakovszky.) We left the lower triangle empty in order for it to be filled by our future creative partners. This was our founding vision: to build our collections on collaborations. How would you characterise your products and your target audience? The bags in our core collections are very reliable, functional pieces that are simply convenient to use. Our conceptual collections on the other hand are very exciting in their back-stories, varied materials, designs and richness of detail. But perhaps it is the combination of these elements that makes them appealing. Our consumers are mainly nature-loving, conscious urban shoppers who like to get swept away by our stories. 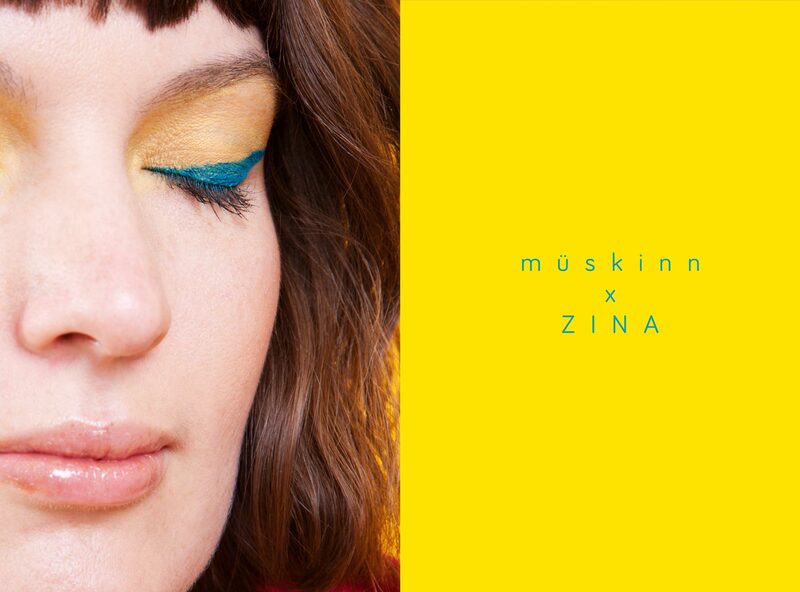 Your collaboration with ZINA is the second project that involved artists from another discipline. How do you choose your co-creators? So far we have introduced two collections and we worked on both of them with people outside of the fashion industry. We first collaborated with the electronic music producer Alpár (Bálint Zalkai) and then with the five members of Zina, the makers of a comic-book anthology. In the future we would like to push boundaries further-for our next creative collaboration we are searching for someone who is not involved in the creative industries. We think that this will allow us to get to know the reality that surrounds us, and that through this we can build bridges as well as break down walls. We have always chosen our co-creators from a set field (music, graphic design/illustration). Another significant criteria is that we must find the person or group’s work inspirational, interesting and important to share with our audience. How did the Zina collaboration develop and how did you go about telling a story through a series of bags? Although each piece is a separate entity, they are part of a greater narrative. We approached the ZINA girls with the invitation to make a mini-zine for us on the topics of pollution and environmentalism, following which we began brainstorming the story. The collection developed from an initial idea that was first just a concept: a dystopian world in which Zina, the superhero saves planet Earth. The girls brought us different stories, colours, forms and we provided the materials, new shapes and the function. Zine culture is very popular popular these days, especially in the world of fashion. Did this influence you in any way? What are your thoughts on the meeting of fashion and zines? Our collaboration is perhaps part of a different tendency. Zines serve the fashion industry along the lines of a lookbook. ZINA’s zines are born outside of this realm and mimic-even parody-the world of women’s magazines. As a result, they basically fulfil the opposite function of the aforementioned publications. How has the Zina collection been received so far? We got great feedback, especially from those who are involved in the field of design. Of course there are some people who are a bit taken aback by our materials and use of colours, but most can find a way to relate to the products. Everyone immediately gets that these aren’t just mere things-they consist of several layers through which different thoughts, personalities and stories develop. Although you are a Hungarian brand, your aesthetic cannot be boxed into a national category. We live in an increasingly globalised world, yet geographical and national belonging is something that is still packaged and sold in fashion today. How do you see your work in a national and in an international context? If national identity is not relevant to your brand, how difficult is it to get noticed as a Hungarian brand on the international market? It’s true that our conceptual collaborations are unique here in Hungary- there aren’t really other brands with similar projects. However being Hungarian-even Eastern European- is still an important part of our identity, which is perhaps manifest in our somewhat abstract, quirky way of thinking. This is something that we would like to retain and emphasise. Being a Hungarian brand is both an advantage and disadvantage on the international scene. I also think shoppers’, sellers’ and journalists’ attitudes are culturally-dependent. What do you think are some of the most important challenges and changes influencing fashion today? On the one hand, mass production. This is something that is quite difficult to compete with, but in reality we don’t need to-at least not when it comes to producing large quantities. On the other hand, it is much more difficult and important to be a responsible designer. The question of sustainability is impossible to ignore these days. However, if a designer starts thinking along these lines, they must consider how their given product can be more environmentally friendly and sustainable at all steps of the production process. At the same time, we must set limits, as this mindset can significantly slow down both design and production. So far we can reveal very little about our next project but it’s no secret that we are looking for someone outside of the creative industries and that we would like to tackle certain social issues. We would definitely like to have a stronger presence on the international market. Furthermore we would also like to establish a place that can simultaneously function as an atelier, shop or even as an exhibitions and cafe space. It is important for use to have somewhere where we can accommodate our our projects, shows as well as other initiatives that we want to share with the world.